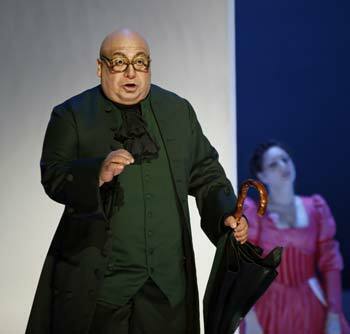 Thus the artist received highest acclaim for his portrayal of DON MAGNIFICO at the Helsinki National Opera, the Teatro Principal de Palma de Mallorca,the Palacio de Bellas Artes in Mexico and the Vienna Popular Opera. 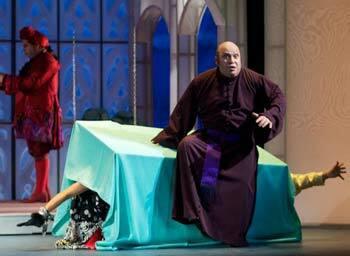 Here, he was also very successful as DULCAMARA, a role which he also sang at the Teatro Colon Buenos Aires. 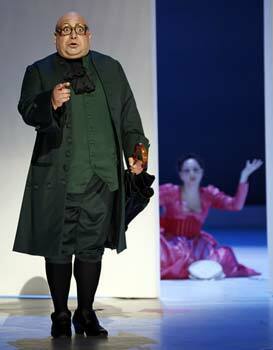 As DON PASQUALE he succeeded at the Vienna Popular Opera, at the Linz Municipal Theatre and the Opera House Wuppertal. 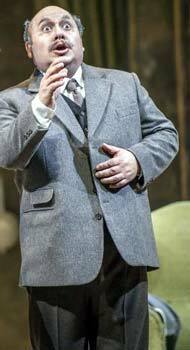 The bass-baritone is also a very much sought-after LEPORELLO (sung a. o. at the Concertgebouw Amsterdam, the Teatro Cuyas in Las Palmas and athe Czech National Theatre in Brno). 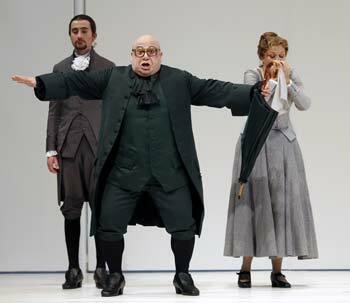 Recently he portrayed SANCHO PANSA in Don Quichotte at the Prague State Opera. 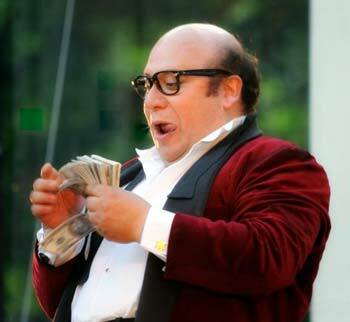 His vocal and acting abilities allow the Mexican-born singer to portray the most versatile roles, ranging from serious to comical. That’s why his repertoire not only includes parts like SR. GIORGIO in ‘I Puritani’, ZUNIGA in ‘Carmen’, RAIMONDO in ‘Lucia di Lammermoor’, FALSTAFF, TIMUR in ‘Turandot’, BARTOLO in ‘Il Barbiere di Siviglia’, DON ALFONSO in ‘Cosi fan tutte’, but also VARO in Händel’s’ Ezio’, PIZARRO in ‘Fidelio’, SARASTRO in ‘Die Zauberflöte’ and many others. Noé Colin began his musical studies at the National University Of Mexico with Professor Gonzalo Gonzales Cano and Professor Enrique Jaso Menodza. 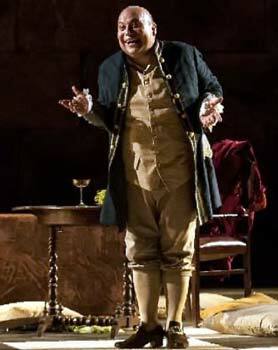 After completing them with diploma, he enlarged his opera repertoire with Professor Ubaldo Gardini and became a member of the International Opera Studio of the Opera House Zurich.In 2005 he won the International Singing Contest „Giovanni Pacini“ in the City of Pescia in Italy. Among all recordings, Noé Colin made, the role of Aliprando from Gioacchino Rossinis „Matilde di Shabran“ under the batton of Maestro Francesco Corti for the Italian Record Label BONGIOVANNI deserves particular mention. The many distinguished artists with whom the baritone singer already performed on stage include Placido Domingo, Carlo Cosutta, Verónica Villarroel, Luis Lima, Neil Shicoff, Bernd Weikl, Rolando Villazon and Ana Netrebko. Besides, he worked with such renowned conductors like Marcelo Viotti, Riccardo Chailly, Edoardo Müller and many others. In the concert sector as well Noé Colin is a very sough-after singer. He regularly performs on international stages, where he sings concerts, masses, Lieder from Brahms, Mahler, Mozart, Beethoven, Händel, Bach and Verdi. In 2011 he sang the 9th Symphony at the Rostropovich Festival in Moscow with Maestro Christoph Eschenbach. 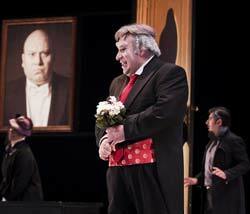 Lately, Noé Colin returned to the National Opera Helsinki a.o. 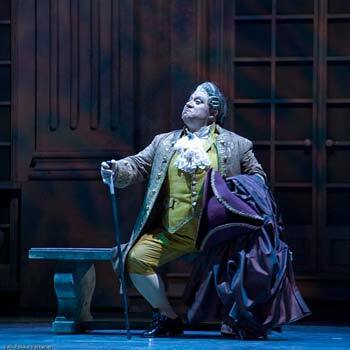 as DON PROFONDO and DON MAGNIFICO and as DON BARTOLO in’ Il barbiere di Siviglia’ and ‘Le nozze di Figaro’ to the Vienna Popular Opera. 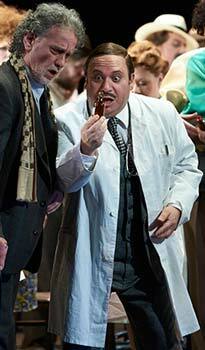 He sang DULCAMARA (with Ramon Vargas as Nemorino) and DON MAGNIFICO at the Festival in the Teatro del Bicentenario and DON PASQUALE in Bogota and Innsbruck. 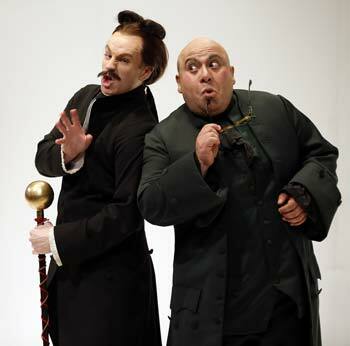 He also made his debuts as ZACCARIA and BARAK at the Teatro de Bellas Artes, Mexico. 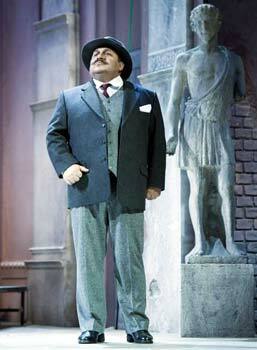 In the season 14/15 the acclaimed bass could be seen as DON BARTOLO at the Wuppertal Theatre. 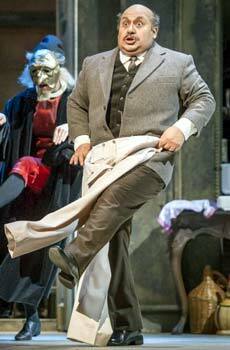 He also was DON PASQUALE at the State Theatre Gärtnerplatz in Munich. 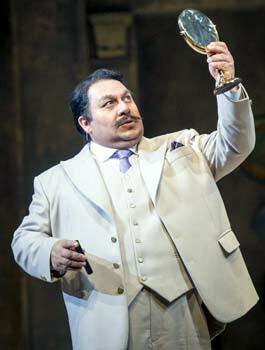 He portrayed DULCAMARE in ‘L’elisire d’amore’ at the Teatro de Bellas Artes , Mexico and DON MAGNIFICIO in ‘La Cenerentola’ at the Gothenburg Opera House. 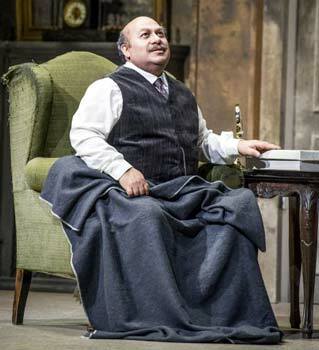 A true buffo character with a superb bass voice is Noé Colin’s Don Magnifico (Father).